In October of this year, a spirited discussion took place on the ASDAH listserv regarding the intersections between weight-loss surgery and substance abuse. ASDAH’s Lisa Du Breuil is a practicing social worker who, in 2013, co-created and co-lead a psycho-educational support group for post-WLS patients who developed addictions and other compulsive behaviors after their surgeries. She hopes to be able to complete some research on these patients to help other addiction clinicians understand their special challenges in recovery. 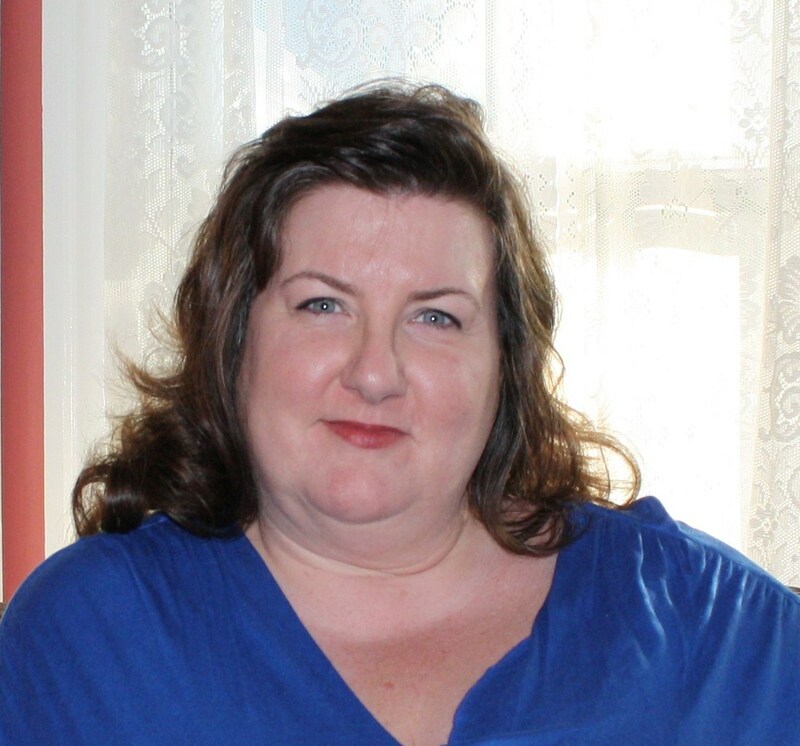 Since this topic took off in the listserv and sparked so much discussion among ASDAH members, we thought it would be helpful to interview Lisa about her work for the benefit of our broader HAES community. Health At Every Size® Blog: Can you briefly summarize your work in the field of mental healthcare? Lisa Du Breuil: I decided to get my Master’s in Social Work after spending years as a direct care staff working with emotionally disturbed teens and their families. One of my internships in graduate school was at a methadone clinic, which really cemented my interest in addictions. About 10 years ago, I began my current job at an outpatient dual-diagnosis clinic at a large teaching hospital. In the United States, someone who is dually-diagnosed has an addiction along with at least one other psychiatric diagnosis. I specialize in working with patients struggling with both substance addictions and eating disorders. Then about 7 years ago, patients began presenting with addictions they developed after having some type of weight loss surgery. As both a HAES-oriented clinician and a fat person, I already had concerns about these surgeries, so I was very interested in helping these patients. I now see several post-WLS patients for individual therapy, and just recently put together a group curriculum for patients who have addictions following WLS. Health At Every Size Blog: How do you incorporate the HAES® principles into your work? Lisa Du Breuil: Addiction is a chronic illness, with complicated biological, psychological and environmental components. It’s similar to diabetes or eating disorders in this way. I believe moving into recovery involves lots of different changes in behaviors, not just slowing down or stopping abuse of substances. Once someone has made significant changes in their substance use, they are then able to attend more to making changes in other parts of their life to improve their health and well being. As a HAES-oriented clinician, I help people do that without pursuing weight loss, since dieting and chasing numbers on a scale will decrease health and increase the chances of a relapse into substance abuse or the development of an eating disorder. I also help patients understand the “multi-dimensionality” of health and make sure we are focusing on aspects other than just physical wellness. Increasing emotional resiliency and a sense of self-efficacy are also really important for health. For example, we might look both the quantity and quality of supports in someone’s life, or consider what kind of beliefs clients have about themselves and the world, and how those beliefs impact their stress levels. With patients who live in larger bodies, we might spend some time exploring how different body types have gone in and out of style throughout history, or where they can find clothes that fit them and help them feel comfortable and beautiful. I think it’s helpful with people of all different body sizes to understand how the media (and media tools like Photoshop) influence their relationship with their body and can interfere with good self-care. With post-WLS patients, I think it’s particularly important to move away from the focus on weight, as in my experience, this tends to have been a central focus that has led to a decrease in quality of life and well being. Health At Every Size Blog: What do you see as the benefits and/or challenges to shifting to a weight-neutral approach? Lisa Du Breuil: It’s really difficult to get off what I call the ‘diet roller-coaster’ in a culture that is trying to keep you on the ride! We are all constantly being told by the media, by friends and family, and sometimes by healthcare providers that our body size is the prime determinant of our health. This is a very difficult message to shake and a lot of the work I do with patients involves exposing them to body-positive and HAES oriented materials that are increasingly available on the internet, for example. As for the benefits – where do I start? The amount of emotional and psychological energy that gets freed up when someone ‘steps off the scale’ is amazing! As a cognitive-behavioral therapist, I know that reasonable, attainable goals are the keys to real and lasting change. Approaching my practice from a HAES standpoint means that I can work with patients to set goals they can actually reach, and behavioral changes they can maintain. I love the ‘sustainability’ aspect to the HAES paradigm; it’s so respectful of the individual’s actual life circumstances. The HAES model encourages people to focus on what they can do, in the body they have right now, to improve their health and well being, and we as healthcare practitioners, understand that “health” is defined differently for different people. The HAES approach doesn’t just acknowledge differences – it celebrates them! I find that incredibly freeing as both a clinician and a person. Health At Every Size Blog: How might organizations like ASDAH work more effectively to support professionals like yourself, in promoting a better understanding and the adoption of the HAES approach within your profession? Lisa Du Breuil: I have to start by saying how incredibly thankful I am to have found ASDAH and the HAES movement. ASDAH membership has meant ongoing access to not only many of the founders of the HAES approach but also to a group of incredibly talented people using the model in a number of different arenas. The ASDAH conferences have also been an amazing source of information and inspiration for me. I think ASDAH should continue to work closely with eating disorder organizations to spread information about the HAES philosophy and its principles. Our eating disorder colleagues are really on the “front lines” of the tragic “war against obesity” and in my experience, have been very eager to learn about the HAES paradigm and incorporate it into their treatment approaches. They really get it! I’m really psyched about the newly developed HAES Curriculum and have already shared it with fellow mental health clinicians. Lisa Du Breuil, LICSW, is a clinical social worker who treats people dealing with addictions, eating disorders and problems post-weight-loss surgery at an outpatient psychiatry clinic in Boston. Lisa graduated from Boston University’s School of Social Work with a Master’s degree in 1996. Lisa practices from a Health At Every Size (HAES) perspective and particularly enjoys introducing people to the HAES tenets as part of their journey to good self care.